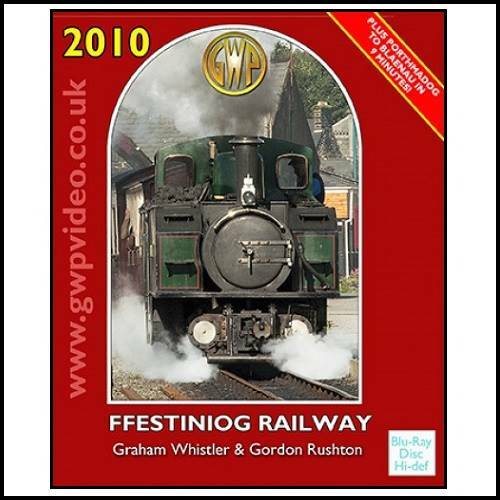 The Ffestiniog Railway has it all and this brand new programme brings you a feast of action from the line. Featuring locomotives Earl of Merioneth, Merddin Emrys, Blanche and the very newest edition to the fleet Lynton and Branstable replica LYD. You’ll follow Earl of Merioneth and Merddin Emrys up and down the line, and see two Fairlies cross. You’ll see the feisty Blanche giving her all, but BEST OF ALL, we’ll take you on one of the first test trips IN FRONT of the new locomotive LYD - and you will be able to thrill to amazing shots of LYD chasing the train, and see her right next to the camera as well as running past. Shot in wide screen and high-definition with a hi-speed run from Port to Blaenau, wow! This is one more of the series of top-quality videos from Graham Whistler Productions. Enjoy the programme!